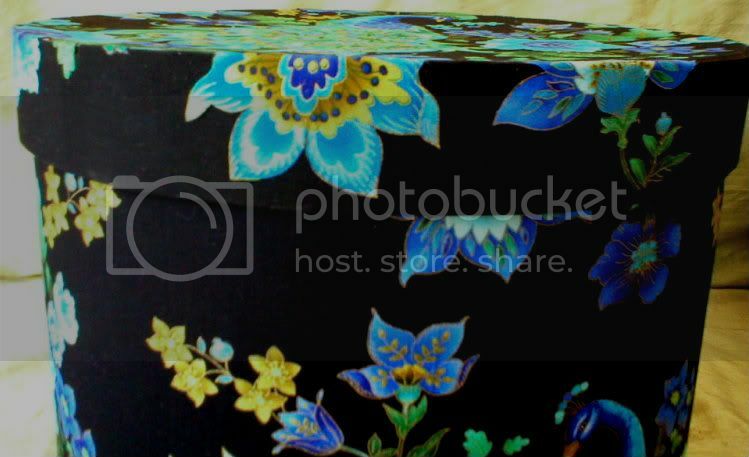 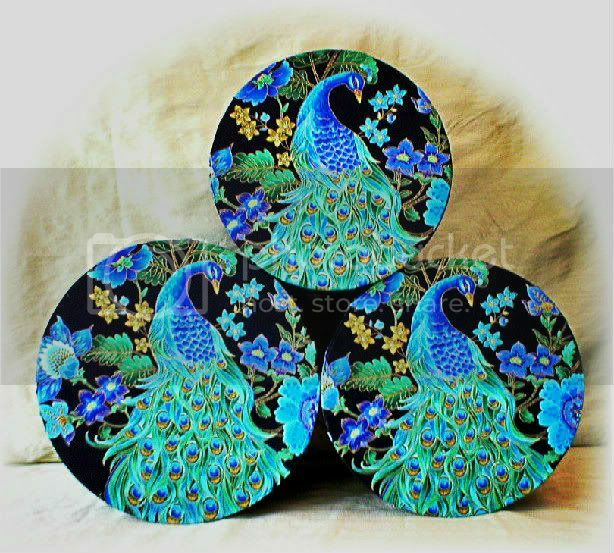 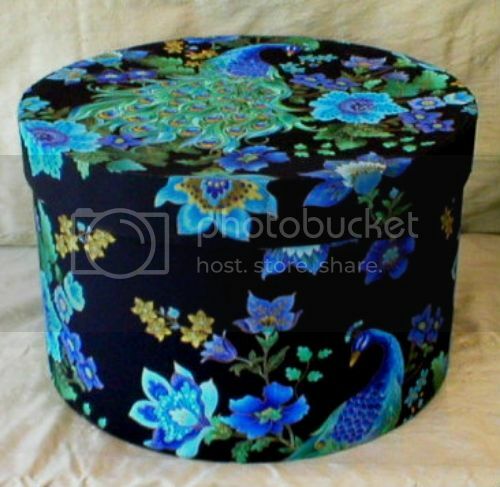 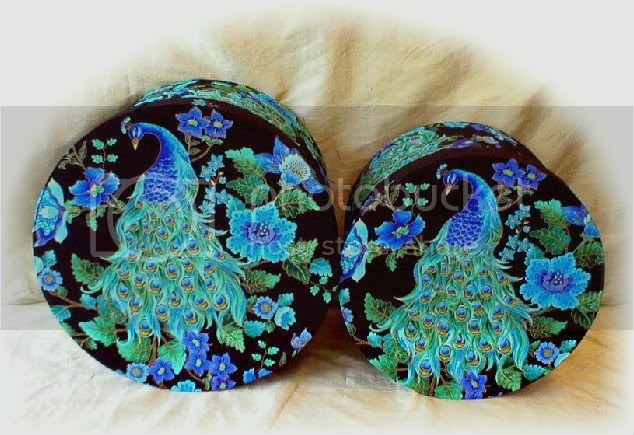 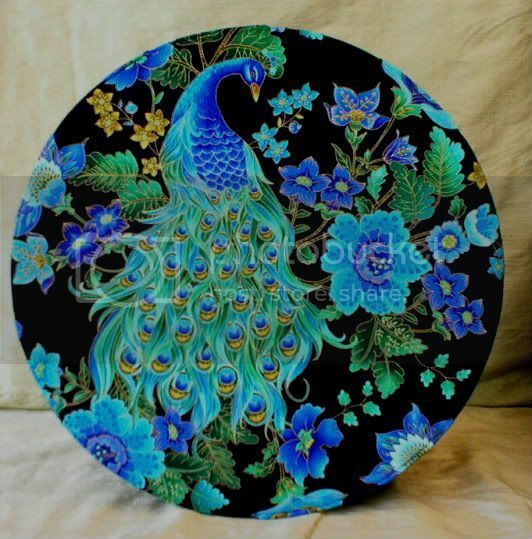 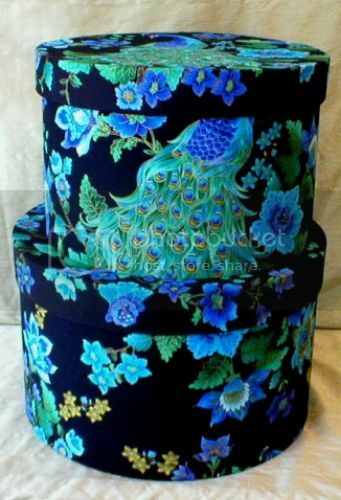 This is an enormous XLG, set of 3 hat boxes covered in a gorgeous Peacock print on black with thin gold metallic outlines. 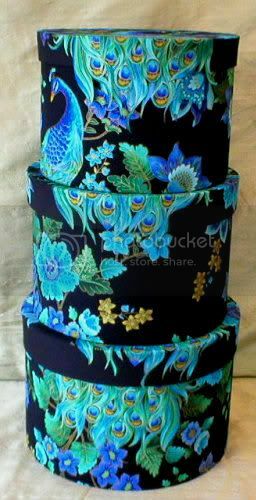 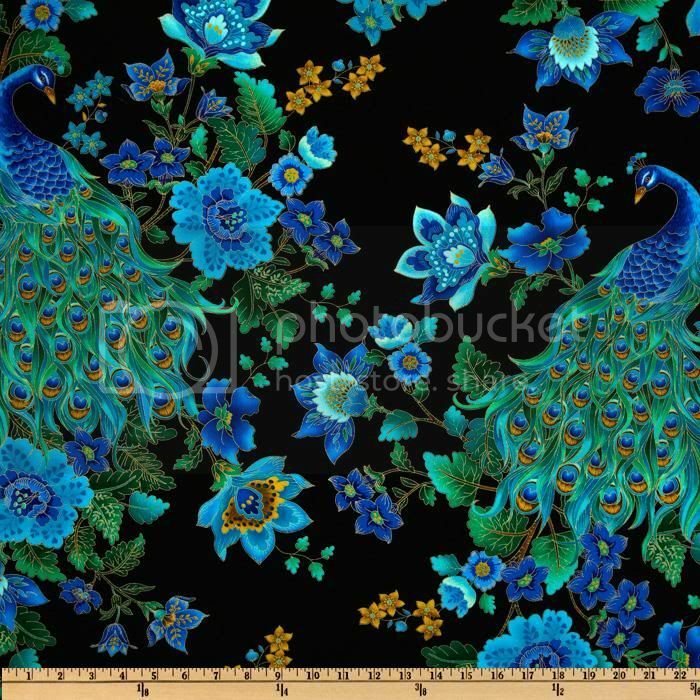 The interior of each box is fully lined with a beautiful, matching, Peacock Blue faille fabric, with a lightly padded bottom. 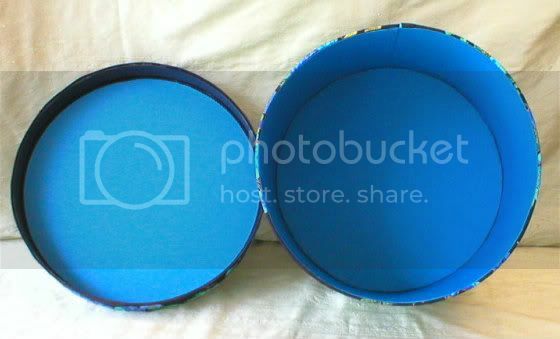 DIMENSIONS: Small: 12" x 8", Medium: 14" X 10", Large: 16" x 12".